Defense of Congressional Review Act and Joint Resolution (CBD v. Zinke) – Anti-hunting groups sued to invalidate Joint Resolution 69, which nullified regulations that prohibit forms of hunting on National Wildlife Refuges in Alaska and to challenge the constitutionality of the law that enables Congress to nullify regulations within a short period of time after they are adopted. Ninth Circuit. SCI/NRA will file their brief on January 18, 2019. Lead Ammunition in Kaibab National Forest (CBD v. U.S.Forest Service) – Defense against attempt to ban lead ammunition use in Kaibab National Forest. Status: The district court dismissed the case for a second time, and the plaintiffs filed a second appeal to the Ninth Circuit. SCI and the NRA are participating in the appeal. The court held oral argument on September 7. Revisions to the Mexican Wolf Experimental Population Rule (SCI v. Zinke) – In January 2015, the FWS revised the regulations concerning the management of the Mexican wolf nonessential experimental population. SCI and its two New Mexico chapters filed suit as did anti-hunting groups. Status: In April 2018, theArizona district court ruled against the FWS and SCI and for the anti-hunting groups, remanding but not vacating the rule. The FWS has 25 months to correct the rule. Plaintiffs filed motions for injunctive relief during the remand period, which SCI and the other defendants opposed. We are waiting for a ruling on the motions. Defense of the McKittrick Policy (WildEarth Guardians v. DOJ) – In 2013, WildEarth Guardians sued to challenge the Department of Justice’s policy not to encourage the prosecution of individuals who accidentally shoot ESA listed species. Plaintiffs claimed that the policy jeopardizes Mexican wolf recovery. SCI intervened to defend the policy. Status: The district court judge in Arizona ruled in favor of the Plaintiffs, against SCI’s interests. The defendants, including SCI, appealed to the Ninth Circuit. 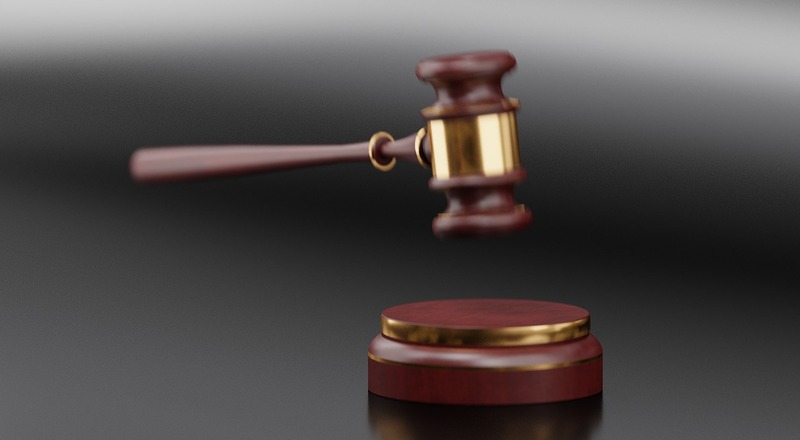 After oral argument in early October 2018, the Ninth Circuit ruled against WEG, holding that it did not have standing to challenge the Policy. Barring an appeal to the Supreme Court, this case is over. U.S. Forest Service in Arizona federal district court to challenge the KNF travel management plan, which allows off-road vehicles for game retrieval and other hunting related activities. Status: SCI and Arizona intervened. The court ruled in favor of SCI, Arizona and the federal government. The anti-hunting groups appealed to the Ninth Circuit. SCI remains in the case. Appellate briefing was completed in September 2018. Oral argument is scheduled for February 7, 2019.
the names of individuals. HSI was not satisfied with the FWS’s decision and continued its case. Briefing is complete. We are waiting for the court to hold a hearing or rule. 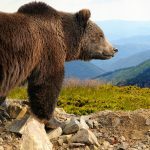 New Jersey Black Bear Hunting (NJOA v. DEP) – SCI, New Jersey Outdoor Alliance, and Sportsmen’s Alliance Foundation sued the New Jersey Department of Environmental Protection for closing state lands to black bear hunting. Status: NJ Superior (appeals) Court agreed at least in part with SCI et al., but sent the case back to the DEP to hold a hearing to resolve factual issues. The court did not overturn the closure and the December 2018 hunt proceeded without hunting on state lands. SCI et al. are petitioning the N.J. Supreme Court to review the case. Supreme Court Amicus Brief (Herrera v. Wyoming) – Crow Tribe member Clayvin Herrera is defending a criminal prosecution by the State of Wyoming for hunting out of season by claiming all Tribe members possess a treaty right to unregulated hunting. Status: SCI filed an amicus brief in support of Wyoming. SCI’s brief addressed the adverse impacts of potential unregulated tribal hunting on the states’ ability to conserve wildlife. Oral argument was held on January 8, 2019. Supreme Court Amicus Brief (Sturgeon v. Frost) – The U.S. Supreme Court granted SCI member John Sturgeon a second opportunity to present his case challenging the NPS’s rules prohibiting activities (including hovercraft use) on waters within National Preserves in Alaska. Status: SCI filed a brief with the Supreme Court in mid-August in support of Sturgeon’s position. Oral argument was held in early November. We expect a ruling before the summer. Elephant Importation Bans Challenge (SCI v. Zinke) – Challenge to the FWS’s decisions to suspend the importation of elephant trophies from Zimbabwe in 2014 and 2015 and from Tanzania in 2014. Status: After we appealed an unfavorable ruling from the district court, the D.C. Circuit Court agreed with SCI and NRA that the FWS should have conducted rulemaking for the Zimbabwe 2014 and 2015 findings for Zimbabwe. SCI recently settled claims for attorney fees with the DOI. The cases have come to a successful end. 2016-2018 Zimbabwe Elephant and Lion Importation (CBD v. Zinke; FoA v. Zinke) – Anti-hunting groups filed two lawsuits challenging the FWS’s positive enhancement findings on importation of elephants and lions harvested in Zimbabwe between 2016 and 2018 and the FWS’s switch to a case-by-case approach to processing import permit applications. Status: After SCI and NRA intervened, SCI/NRA and the Federal Defendants moved to dismiss both cases. The court will schedule a hearing or rule without oral argument. Challenges to the GYE Grizzly Bear Delisting (Crow Tribe v. Zinke, etc.) – Six cases challenged the delisting of the Greater Yellowstone Ecosystem grizzly bears. Status: SCI and NRA intervened in the cases to defend the delisting. After a hearing on August 30, the judge reversed the delisting. SCI and others recently appealed the ruling. Challenge to FWS and NPS Alaska Hunting Regulations (SCI v. Zinke) – SCI, the State of Alaska and the Alaska Professional Hunters Association each filed suit against the FWS and NPS to challenge rules adopted by the Obama Administration that prohibit and/or restrict certain methods of hunting on the Kenai NWR and all National Preserves in Alaska. Status: The parties have stayed the cases while the NPS and FWS conduct rulemaking to consider repealing the rules. Hunting in Africa-What’s Enough Gun? Hunting Trips: What’s on your bucket list?